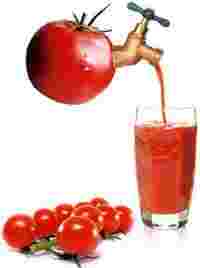 Cheery red: Regular consumption of a tomato, grapefruit and pumpkin drink can help lower your insulin level. These days we’re all aware of the benefits of fruits and vegetables. But while most of us want to follow a strict health regimen, only a few of us can in the mad rush of the daily grind. And while the concept of “five a day" is fairly common, it’s easy to forget apples and oranges when you’re working on the last-minute details of the presentation you have to deliver. You could—but how effective would such drinks be, and would the vitamin and mineral content be destroyed by blending and pulverizing the fruits and vegetables? Jyoti Arora, team leader, nutrition and dietetics, Artemis Health Institute, Gurgaon, says that as long as a cool temperature is maintained while blending and storing, these drinks are not depleted in vitamin and mineral content, except for citrus fruits that are highly sensitive and need to be consumed immediately. She believes that it helps if you consume health drinks in the morning, as “the utilization of calories and absorption of vitamins and minerals is better since the gut is rested and tends to perform better". If you want to carry these drinks to the office, she recommends you take them in a glass or a good-quality plastic container instead of a metal container, which may react with the juices. However, while drinking a power-packed juice or smoothie can help, Sabharwal says that these drinks should be consumed in addition to eating fruits and vegetables, which contain valuable fibre. Arora adds: “A strained juice has no fibre compared to a smoothie that still has some. Just having lots of juices is not enough. You must add fibre to your diet by eating whole fruits, rotis enriched with oat bran and salads." • Blend 30g of karela (bitter gourd) and one small amla with 100ml of water. Adding the water makes extracting the juice easier. Both karela and amla stimulate the secretion of insulin, which helps reduce the blood sugar level in diabetics. • Blend 200g of blueberries with two grapefruits. The more you consume this juice, the more it will help reduce starches in your system. In fact you can even consume it several times a day. • Blend 200g of grapes with 30g of pomegranate. Regular consumption of the drink will help reduce the risk of blood clots, low-density lipoprotein or bad cholesterol, prevent damage to blood vessels and also work as a blood thinner that eventually prevents clots from forming in the arteries. Green wonder: When consumed with Indian gooseberry in juice form, bitter gourd can stimulate the secretion of insulin. • Take 25g of walnuts, 25g of almonds, 10g of flaxseeds, 5g of melon seeds, 5g of poppy seeds and 5g of sesame seeds, and grind them to a powder. Mix with 4 tsp of honey, 2 tsp of lime juice and 100ml cold water to make a thandai (a cooling Indian drink) in summer. You can mix the same powder with mildly warm, skimmed milk and honey in winter. The drink is a rich source of omega-3 fatty acids, which are good for the heart. Blend half a cup of water with half a bottle gourd (around 500g), 2 amlas and a small handful of mint leaves. The bottle gourd flushes out the system and excess water, resulting in weight loss, while amla is rich in vitamin C and is an antioxidant. • Blend 2 tomatoes, 2 grapefruits, 150g of pumpkin and 1 lemon with a pinch of cinnamon. Regular consumption of this drink lowers the insulin levels in your body that trigger your system to store fat. It is also rich in fibre, and your body must burn extra calories in order to break it down, resulting in further weight loss. • Blend 250g of spinach with 2 beetroots and the juice of 1 lemon. Spinach and beetroots are a very good source of iron and antioxidants. Spinach is also a rich source of vitamin K, carotenes, vitamin C and folic acid. It is essential to combine foods rich in iron with vitamin C (from the lemon) to help absorb it in the body. • Blend 250g of watermelon with 100g of spinach, the juice of 1 lime and 15-20g of jaggery. Watermelon, spinach and jaggery are all rich in iron. It is essential to combine foods rich in iron with vitamin C (from the lemon) to help in absorption. • Mix 1 tsp of premixed sattu (made with sprouted wheat germ and roasted gram) with 1 glass of buttermilk and 10-15g of jaggery. Sattu contains wheat and grams (carbs and protein) that work together and are a powerhouse of energy. • Mix 30g of whey protein powder in a glass of milk with a teaspoon of honey. Whey protein is 70% pre-absorbed protein, so the body doesn’t have to work to break it down. Also, 10g of whey protein power provides 7g of proteins. This drink is ideal for those who work out on a regular basis. Experts: Suman Agarwal (with reference to WHF foods, www.organicfood.com, The Don’t Diet Diet Cook Book, www.righthealth.com); Jyoti Arora, team leader, Nutrition and Dietetics, Artemis Health Institute, Gurgaon; Shubha Sabharwal, deputy chief dietitian, Indraprastha Apollo Hospitals, New Delhi.